B-1 accelerates for take off (background), during Operation Enduring Freedom. United States Air Force photograph by: SrA Rebeca M. Luquin. The Central Intelligence Agency and US military used the base, ironically named Camp Justice, as part of its program of extraordinary rendition during the presidential tenure of George W. Bush. The US base on Chagos also housed “black sites,” where rendered individuals from across the globe would be taken indefinitely, without charge and without trial. The British, ostensibly not wanting to appear quiescent as torture was carried out on their territory by non-Britons, asked the US to cease using the Diego Garcia base to this end, a request to which the US military acquiesced by transferring prisoners to other black sites or the Guantánamo Bay Naval Base. Though this was the official line parroted by the British government, they were full partners in this endeavor, only waffling when evidence of the programs became public. They went so far as to obfuscate their own role in the program, insisting that the documents relating to it having been “destroyed accidently” after having been soaked with water. 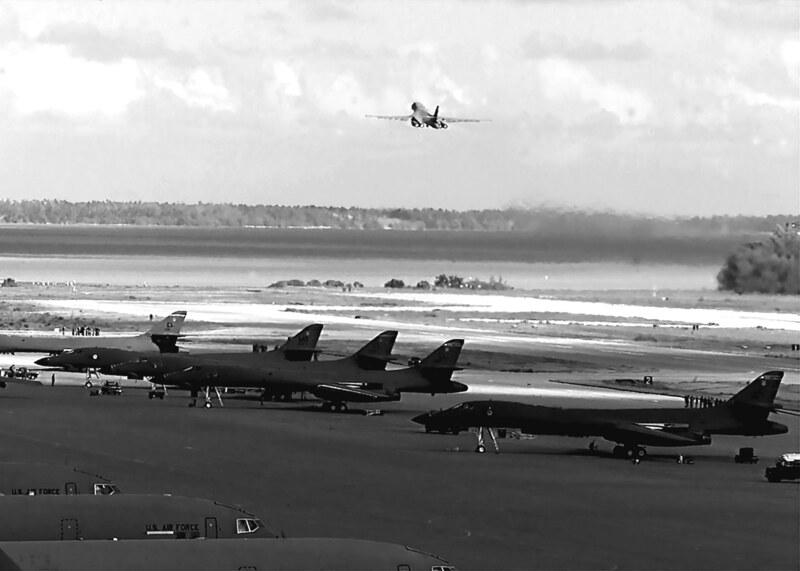 Both prior to and in the aftermath of the program of extraordinary rendition, the base at Chagos has been used by US military forces as a hub for long-range bombers, particularly during the jingoistic and bellicose intervention in Vietnam, Cambodia, and Laos in the waning years of that conflict. More recently, under both Republican and Democratic leadership, the base has been utilized as a launch pad for bombing runs and surveillance flights in Pakistan, Yemen, Somalia, the Philippines, Afghanistan, and Iraq. Parenthetically, the United States military also operates a drone base in the (relatively) nearby Seychelles. For revolutionaries, the history of the BIOT in general and Diego Garcia in particular should be quite alarming. On the one hand, there is the question of the 2,500 forcibly displaced inhabitants as well as their progeny, now numbering between five and ten thousand; on the other, the issue of the military base and the sovereignty of Chagos. Put another way, the question of Chagos has all of the trappings of a nascent anti-imperialist and anti-colonial struggle, one in which Marxists must take up both the banner of national self-determination (for the displaced Chagossians) in addition to advancing a politics which hold that the defeat of US imperialism and British colonialism offer the only lasting solution to this crisis. However, in order to proffer any solutions to either of these problems wrought by imperialism, one must first know the history of the area and how the situation as it stands came to fruition. The Chagos Archipelago had been part of Mauritius since 1903, then under the auspices of the British Empire. Mauritius had come under British control in 1810, having previously been a French, and before that, Dutch colony. In 1810, the colony of Mauritius included the island of Mauritius, the Seychelles, the Chagos Archipelago, and the islands of Rodrigues, St. Brandon, and Agaléga. The British Foreign Office separated the Seychelles from the rest of the colony in 1903, but the other islands remained a part of Mauritius. In 1965 the British government paid Mauritius three million pounds for control of the archipelago once the former went through constitutional decolonization. Seewoosagur Ramgoolam, the first prime minister of independent Mauritius, accepted this deal, likely with the foreknowledge of what would transpire in the ensuing decade. Mauritius gained its independence in 1968, three years after the creation of the BIOT. Chagos, however, was not to be included, and its inhabitants were still subjects of the Crown in London. At the same time when Britain was negotiating with their epigones in Mauritius, the Foreign Office was also negotiating with the Untied States. The US wanted a depopulated island in the Indian Ocean from which it could house strategic military assets. This was in part the United States cashing in on the 1963 Polaris Sales Agreement, through which the Untied States sold the UGM-27 Polaris, a Submarine-Launched Ballistic Missile capable of hosting nuclear payloads, to the British. To this end, the British negotiated a fifty-year lease to the tune of around eleven million USD, with the possibility of extension, and both parties settled Diego Garcia, the largest island in the Chagos Archipelago. The deal was concluded by 1966 and by the time the first US military personnel arrived in Diego Garcia in 1971, the smaller islands had already been depopulated by the British. By 1973, there were no Chagossians in Chagos. This was not a processes wherein people were compensated to leave, or even asked if they wanted to remain. Rather, it was one in which the standard bearers of imperialism and colonialism were deployed to effectuate what those in Washington and London had decided upon. That is to say, it was a process punctuated by deceit, terror, and violence. Some Chagossians, upon travelling to the Seychelles or Mauritius for work or familial reasons were refused return passage, which marooned a portion of the Chagossian population on those islands. Those who weren’t duped by these duplicitous actions of the British and newly independent Mauritian government, were in for something much worse. Once the US military had arrived in 1971 and Diego Garcia still had a sizable population, plans were put into effect almost immediately, in conjunction with the British, to push out the rest of the Chagossians. These plans included a campaign of terror designed to frighten the population into submission. The primary tactic therein was to take every dog on the island, stray or pet alike, and bring them to a gas chamber. In addition to killing off all of the dogs on Diego Garcia, some Chagossians were forced from their homes at gunpoint by US and UK military personnel. Those on Diego Garcia, if not taken directly to Mauritius or the Seychelles, went to either Peros Banhos or Salomon (two smaller atolls in the archipelago), and were then deported a second time to either of the two aforementioned countries. The Anglo-American imperialists attempted to be magnanimous in a manner befitting their social role. They allowed the Chagossians to “choose” which of the two locations they were to be deported to. Indeed, by the end of this process in 1973, as Paul Gore-Booth, a British diplomat had intimated some years earlier, the only indigenous population on Diego Garcia were the seagulls. 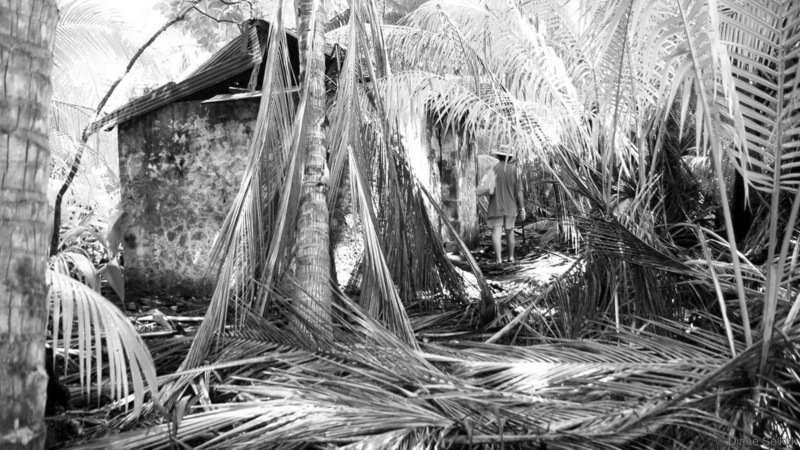 When met with condemnation, the British government claimed there was no indigenous population to begin with, the Chagossians having only been “contract labour” or “plantation workers.” Prior to Mauritian independence, when a Soviet diplomat criticized a British counterpart for the latter’s subjugation of the indigenous population of the islands, the Briton’s pithy retort was to inquire whether the Soviets were alluding to the dodo birds. Granted, none of the islands of Mauritius were ever “indigenously” inhabited by humans— ancestors of the local population having first arrived because of the dual legacies of chattel slavery and indentured labor— but the British response to the Chagos question has always been inflected by racism, national chauvinism, and an ostentatious contempt for Chagossian workers. As evinced by now declassified documents, one British diplomat ruminated that “unfortunately along with the birds go a few Tarzans and Man Fridays whose origins are obscure, and who are being hopefully whisked on to Mauritius.” Such statements only give one a mere glimpse into the mindset of the functionaries of this imperialist project. The forcible expropriation and deportation of the Chagossians has had a deleterious effect on their socio-cultural lives. The population is now dispersed, the majority being in Mauritius, but many are in the Seychelles and England, and a few have since relocated to France and Switzerland. The diaspora has, since their “eviction” been fighting to return, though the political machinations of bigwigs and elites in Washington, London, and even Port Louis operate as a fetter upon their struggle. One of the more recent examples was the creation of the Chagos Marine Protected Area. A joint project of partners in imperialism, Britain and the United States conspired to designate the entirety of the Chagos Archipelago a “Marine Protected Area.” In effect, this would make it illegal for any potential returnees to fish. 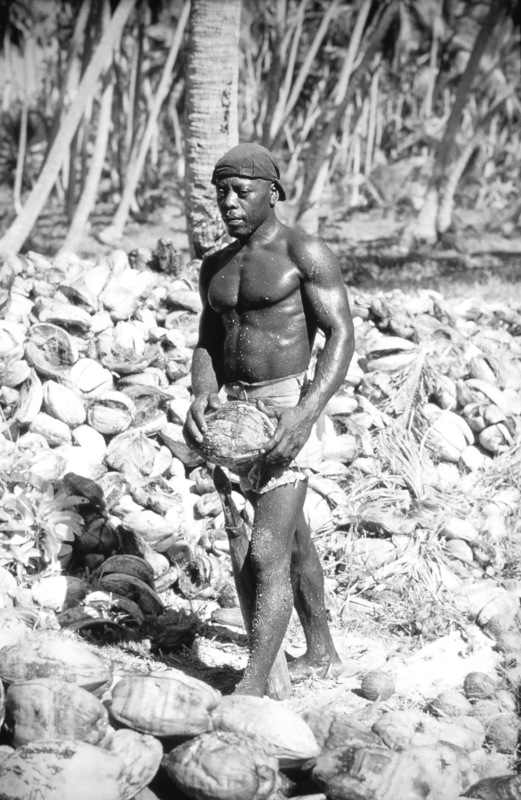 Most labor in Chagos is based on one of two things, coconut farming or fishing. In communiques between the United States and Britain, it was established that the creation of an MPA was deemed the most efficient way to impede any attempts at resettlement. This plan was proposed in 2009 and went into effect the following year. By 2015, however, the Permanent Court of Arbitration held that under United Nations rulings regarding the sea the MPA was illegal if Mauritius (not the Chagossians themselves) wasn’t brought into the fold. In effect, if the bourgeoisie in Port Louis can’t be involved in administering the MPA, neither can Washington or London, which is why the Mauritian government is now a party to the agreement. The subterfuge around the creation of the MPA is simply just the latest in a long line of injustices levied on the Chagossians. Some of the more egregious acts of maleficence involve the remuneration which was to be paid to the dispossessed and displaced the Chagossians. In 1972 the British government approved a paltry 650,000 GBP to be paid out to the Chagossians displaced in Mauritius. The British opted to give that sum to the Mauritian government, and some of it disappeared, with the rest being distributed in 1977. In 1982, the British government offered further compensation, this time four million GBP; some of that money again “vanished” and the rest was paid out in piecemeal fashion between 1982 and 1987. Even if the Chagossians were to be adequately compensated (they haven’t), money would not solve the issue of their right to return, nor would it solve the issue of the base on Diego Garcia, nor would it solve the issue of British colonialism in the Indian Ocean. The Chagossians are effectively refugees wherever they are, not all too different from the plight of Palestinians in Jordan, Lebanon, or Syria. Chagossians have a right to return to their home, whether or not they are “indigenous.” This is even more pressing given their status in Mauritius as a specially oppressed group and the geopolitical concerns around the US base and British colonial control of the archipelago. To combat these forces, no one in Chagos can be relied upon (only military personnel from the United States and Britain, as well as a complement of administrative staff from Britain reside there), and the struggle for Chagos must be waged primarily through the class battles in Mauritius. Chagossians are a specially oppressed group in Mauritius (as they are in the United Kingdom and the Seychelles), where the majority of them reside. Most Chagossians live in what are colloquially called cités. A cité is a ghetto, and while non-Chagossians are also subjected to living in these squalid conditions, the overwhelming majority of Chagossians exist in such destitution. Mauritius is often considered an island paradise for the rich and well-to-do, it is seen as having a working class and petty-bourgeoisie which doesn’t often suffer from the vice grip of global capitalism in general or the particular negative externalities of neoliberalism in particular. This is of course a fallacy promulgated by elites and their lackeys in an attempt to obfuscate the sharp class divisions that persist on the island. Since the BIOT began duping Chagossians into leaving the archipelago in the 1960s, culminating to the constriction of the military facility in the early 1970s, Chagossians in Mauritius proper have experienced a process of lumpenization. 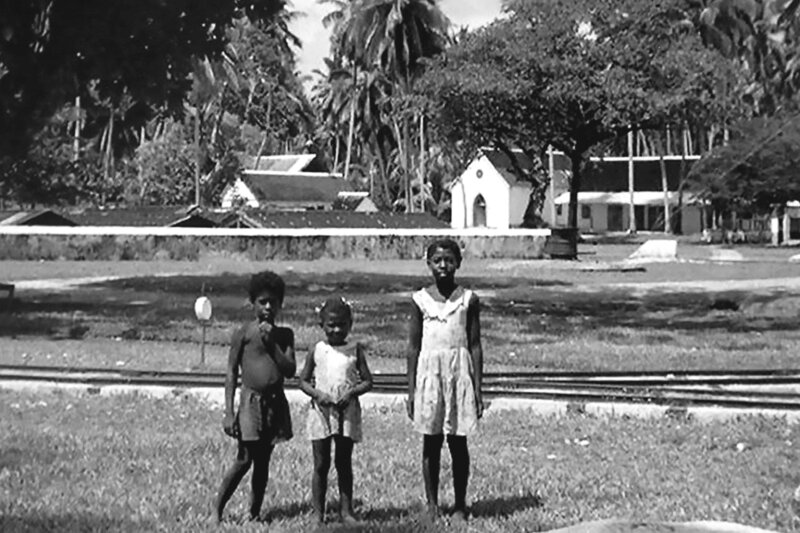 Contemporary Chagossians in Mauritius form the quintessential “reserve army of labor.” This structural underemployment and unemployment of Chagossians results in the proverbial paradigm of being “last hired and first fired.” The Mauritian economy is subject to the same boom-bust cycles of capitalism as in any other location, and the Mauritian working class in general, and Chagossians in particular, bear the brunt of adverse socio-economic conditions on the island. Furthermore, that the population of Chagos in Mauritius is an ethno-racial minority within a minority group further exacerbates their predicament. Contemporary Mauritius is highly class-stratified, and this is often routed through race. Chagossians are Creole. Note that in Mauritius this term does not have the same connotation as it does in the Americas, and it is at its core a racial term. Creoles are those who are the descendants of Black African slaves from Mozambique, Madagascar, and elsewhere, and while a more appropriate term may be “Afro-Mauritian,” one should understand Creole as being synonymous to Black when considering race in Mauritius. Creoles comprise about 27 percent of the island’s population, while people from the Indian subcontinent represent 68 percent of the population. Ethnic Chinese and Malay people are three percent of the population and Whites comprise two percent. Chagossians are therefore seen as both Creole and as distinct from the rest of the Creole population in Mauritius, though both groups are often scapegoated and discriminated against. Though Chagossians are doubly scapegoated, as their version of Creole (the language which all Mauritians speak, regardless of race, not the racial category) is distinct from Mauritian Creole, which makes it easier to differentiate Chagossians from other Creoles. As social class is indelibly linked to race and racialization under capitalism, the majority of the Mauritian working class is represented by Indians and Creoles (there exists no peasantry in Mauritius, either historically or contemporarily). There exists no working-class white population, the majority of Whites tracing their genealogy to the Franco-Mauritian plantocracy, which continues to function as the superordinate elite on the island. People of Chinese and Malaysian heritage are more often than not members of the petty-bourgeoisie, many of them owning and operating small shops and businesses, though some are found within the ranks of the working class. People of Indian descent are the most diverse in their standing within the social hierarchy of the island. Most of the working class is of Indian descent, but much of the ruling class is also of Indian origin, and aspects of the caste system in India are manifest in Mauritius. “Tamils” (Indians from Tamil Nadu, and generally phenotypically much darker) are often counter-posed to “Hindus” (Indians who trace their origins to other areas in India). All this is to say that the class struggle in Mauritius is intrinsically attached to the racial categories used on the island. These ethno-racial categories are used by the ruling elite to segment the working class as is par for the course in any society under racial capitalism. That Mauritius is a bourgeois republic – one of the “better” ones in Africa according to much of the bourgeois press – and its economy serves in the interest of the ruling classes in Washington, London, and Port Louis. Despite all of their posturing about the Chagos Archipelago, successive ruling governments in Mauritius have failed, and will continue to fail, to ameliorate the conditions of the Chagossians in Mauritius, and the issue of Diego Garcia as a beachhead of US imperialism is a non-issue to them. The ruling class of Mauritius takes issues with British colonialism in the BIOT only insofar as it wants the rent paid by the United States for the base. In the unlikely event that the Mauritian bourgeoisie is able to wrest control of the archipelago, the US military facilities will undoubtedly remain, and the United States’ money would flow to Port Louis rather than to London. And if Chagossians in Mauritius were able to return in this scenario, it would remain predicated on ethno-racial animus towards the Creole population. None of the leading political organizations in Mauritius can carry out a revolutionary programme to defeat US imperialism in the Indian Ocean and effectively remedy the Chagos issue. There exist three chief political parties on the island, the Mouvement Militant Mauricien, the Mouvement Socialiste Militant, and the Parti Travailliste. Despite the nomenclature, these organizations aren’t militant, socialist, or representative of the toiling masses. All of them are a similar brand of center-left social democratic opportunists, their divisions being based more so upon personal allegiances and quasi-ethnic rifts than on political ideology or policy. A prime example of this was the MSM’s abrupt reversal on their central pledge during the last general election in 2014. The PTR, which had been in power since the 2010 elections, had proposed a project to develop a light rail from Curepipe in the center of the country to Port Louis on the west coast. The plan was ostensibly to assuage the horrendous vehicular traffic in the corridor between the two cities where the majority of the islands population resides. The MSM campaigned against this, citing that it was unnecessary, would potentially displace people, and would adversely affect the job stability of bus drivers. The PTR lost, and the MSM won in 2014, and immediately the MSM launched the Metro Express project, a near carbon copy of the PTR plan. A firm from India won the bid to build the metro and the MSM promptly began serving people living along the proposed route orders to vacate their homes. A few were offered a measly indemnity to do so, whereas others received nothing aside from the government directive. This is simply one of many examples of such form of politics in Mauritius, and all of the primary political parties are culpable of this. Since independence, all of them have at one time or another been allied with one against the other. There exists only one organization on the island that can be said to be fighting for the working class as well as the rights of the Chagossians. Lalit de Klas, literally “class struggle,” began as a quasi-Trotskyist newsletter and can trace its lineage back to a 1971 dock workers’ strike against a government wage freeze. Lalit has proven to be the only political organization genuinely interested in both the liberation of the Mauritian working class from the socio-economic morass of capitalism (they openly call for a Workers’ Republic of Mauritius) and the expulsion of both the British and American forces from the Chagos Archipelago. Lalit is also the only Mauritian political organization that has actively opposed the military base on Diego Garcia, and called various demonstrations to this end, most notably when United States war ships were docked in Port Louis harbor in 2013. Lalit openly opposes communalism and the attendant “best loser system.” Communalism in Mauritius is an ideology which fragments the diverse ethnic and racial groups of the island into discrete groupings which are understood to have their own (racial as opposed to class) interests. The best loser system is the political manifestation of communalism in a grotesque from of affirmative action which allocates eight parliamentary seats to the top losing candidates from minority political organizations, namely those of Creole, Sino-Mauritian, or Islamic backgrounds. This practice operates in such a way that it is a fetter to unified class struggle on the island and plays into the hands of both the national and international bourgeoisie. Without overcoming the ethno-racial divide (and the linguistic issues as it relates to Chagossians), a broad based workers’ movement with the power to challenge capitalist rule cannot come to fruition. Lalit, while devoted to the liberation of the working class and the overthrow of capitalism, can be criticized for aspects of their ideology and some of their tactics. This is particularly germane given their illusion that a recent United Nations vote could chart a way forward to for the people of Chagos. On 22 June 2017, the United Nations General Assembly voted in favor of an “Advisory Opinion” from the International Court of Justice in The Hague, Netherlands, on the question of the sovereignty of the Chagos Archipelago. Lalit joined in the chorus of other Mauritian political groups in hailing this vote as a victory for the struggle of the Chagossians. Unfortunately, it is symbolic at best, and the UN – which has both the United States and Britain on the Permanent Security Council – and the ICJ will offer nothing but suggestive rulings. Part of Lalit’s strategy relies on putting pressure on the extant political apparatus in Mauritius, the UN, and in the United Kingdom. This specific tactic, as revolutionaries well know, does not often result in any material gain for the dispossessed, but rather brings some critics of capitalist institutions into the corridors of power. While this last bit is unlikely for the cadre of Lalit that cut their teeth during the 1979 strike, such a program can only lead to stagnation of the struggle until they call for working class mobilization against the dispossession of the Chagossians and the existence of the military base. The UK-US control of Chagos will end either when the imperialists and colonialists no longer require the archipelago or when militant labor with revolutionary fervor is organized to challenge capitalist rule in any of the countries in question. Like the Mauritian bourgeoisie, the ruling classes of the United States and Britain offer no viable solution to the Chagos crisis. 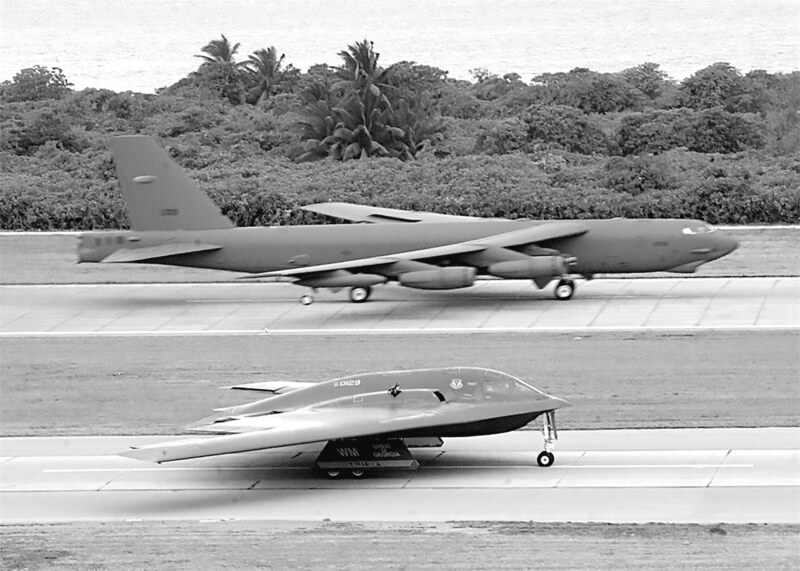 Neither Democrats and Republicans have any interest in closing the base on Diego Garcia, while the British authorities only want to maintain the status quo. More recently, both the United States and Britain have put pressure on Narenda Modi’s government in India, a major trading partner of Mauritius which has deep cultural ties to the island, to help in their efforts to quell any Mauritian discontent around Diego Garcia and the archipelago more generally. While consecutive British governments have assured Mauritius it will cede the archipelago to the latter once it is “no longer needed for defense,” it should remain clear that this means that it can exist in perpetuity, so long as Britain or the United States need to “defend” themselves thousands of miles away from the borders of their own states. Even the most left-leaning members of Labour, represented by Jeremey Corbyn, will not do away with the base. Given Corbyn’s imperative to maintain “security,” as evinced with the election pledge of 10,000 more police during the June 2017 snap election, the base will remain. The only Chagossians going to Diego Garcia would be contract workers for the British administration or the United States military. Currently, most of such contract workers on Diego Garcia hail from the Philippines and are grossly underpaid and exploited, some workers being paid as little as six USD per month (due to the United States government requiring workers to repay the hiring costs and mandatory remittances sent to the Philippines), the average being around two USD per hour. This is what is in store for any Chagossians lucky enough to return to Diego Garcia under a Corbyn government, if they are able to return at all. The solution to the Chagos crisis will not come through the extant corridors of power, but from unleashing the social power of the working class in Mauritius, and elsewhere. Due to the precepts of uneven and combined development under capitalism – the Marxian theory which expounds upon social, cultural, and economic developments between advanced capitalist countries and those in a state of colonization and semi-colonization – Mauritius has developed in such a way as benefits the stewards of imperialism. An aspect of uneven and combined development in the context of Mauritius has been the historic creation of an economy focused primarily on sugar cultivation. This has changed a little in the decades since independence. Once Mauritius became a “middling” African state, it began diversifying its economy through tourism, textiles, and telecommunications. Even so, uneven economic development persists, and it is the working class who must deal with austerity measures when the market is in a downturn, and Chagossians are the worst hit by this. And it is only the working class who can, through militant labor action and revolutionary zeal overturn not only the effects of uneven and combined development, but capitalism on the island, and in the BIOT. The legacy of the 1979 general strike is paramount. It proved that the Mauritian working class had the capacity to seize state power and overcome the ethno-racial division imposed by the imperialists and the comprador-bourgeoisie. The 1999 “riots” over the murder of Joseph Topize – a Creole musician known as Kaya – while in police custody is also instructive. Masses of Creole, as well as Indo-Mauritians, joined in these protests, most of them from the working class. They revolted against the government and tore down the doors to the central police barracks and freed others who had been arrested with Kaya (for smoking marijuana) to save them from the same fate at the hands of the police. It is legacies like these which offer a hint to the solution in regards to Chagos and the Diego Garcia military base. The working class in Mauritius is significantly more class-conscious than the working classes in the west, particularly in the United States. This affords them the kernel of the ideological basis from which to deal with the material reality of capitalism, imperialism, and colonialism in Mauritius. The working class of Mauritius, and indeed of the United States and Britain as well, must bring their collective social might to bear if they are to bring a resounding end to the BIOT and the military base there. As the US-UK ruling class is divided with the Mauritian ruling class over ownership of Chagos (again, not the base), it is up to the Mauritian workers to take advantage of this division, and directly insert themselves into the struggle for Chagossian sovereignty. The Anglo-American loss of Diego Garcia, and Chagos more generally, would constitute a massive rupture in the world capitalist system, a direct blow to US-UK imperialism, and would have wide ranging affects from the Horn of Africa and the Gulf of Aden, to the Middle East, and South East Asia. Communism doesn’t have a deep history in Mauritius, but the working class knows it is embattled due to the local and foreign forces of capital. The fervor of 1979 must be reignited, for Chagos and Mauritius. (This is a truncated version of an article originally published in Revolution, no. 14, newspaper of the Revolutionary Internationalist Youth and the CUNY Internationalist Marxist Clubs. Very interesting article, with a lot of good points and a strong thesis. I was wondering, what sources did you use to write it? Would love to go more in depth. How shall the fervor be ignited once again?